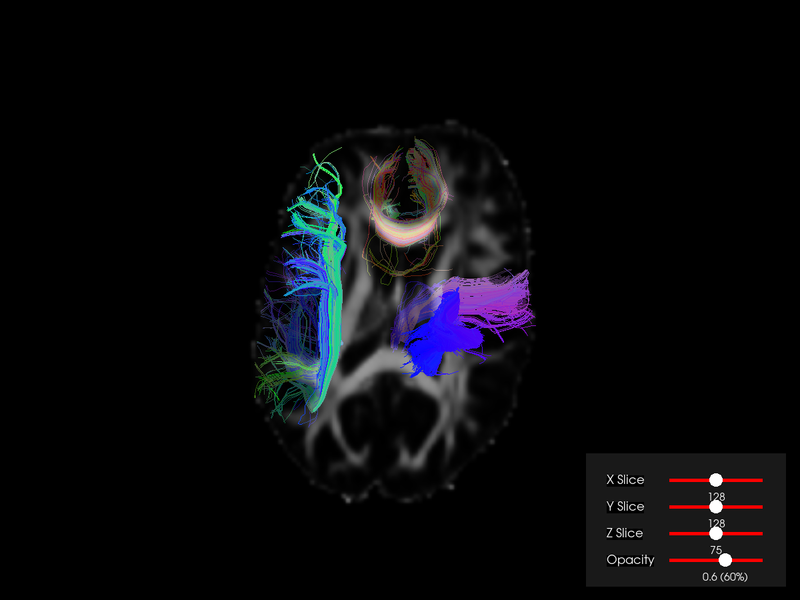 In DIPY we created a thin interface to access many of the capabilities available in the Visualization Toolkit framework (VTK) but tailored to the needs of structural and diffusion imaging. Initially the 3D visualization module was named fvtk, meaning functions using vtk. This is still available for backwards compatibility but now there is a more comprehensive way to access the main functions using the following modules. In window we have all the objects that connect what needs to be rendered to the display or the disk e.g., for saving screenshots. So, there you will find key objects and functions like the Scene class which holds and provides access to all the actors and the show function which displays what is in the scene on a window. Also, this module provides access to functions for opening/saving dialogs and printing screenshots (see snapshot). Now we create, a Scene object and add the streamlines using the line function and an image plane using the slice function. Connect the actors with the Scene.